Loving, spiritual, sympathetic, in-tune, easy to get along with, artistic, romantic. Pisces are caring, intuitive mates and favor the security of long-term monogamous relationships. Tender-hearted, flighty, not great with money, prone to escapism and emotional peaks and valleys. Can be needy. Love comes easily and naturally to Pisces. Hopelessly romantic, Pisces are affectionate, committed and loyal partners. 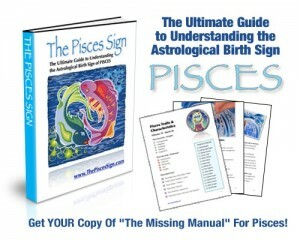 Pisces have the natural ability to read and understand their mate’s feelings and needs fairly effortlessly. Quite often, that can lead to a lot of hurt for gentle Pisces who might not too easily find a mate that “gets” them quite the same way. Pisces & Aquarius Pisces and Aquarius vacillate between harmony and conflict. Some of the great partnerships of all time feature the Pisces and Aquarius dynamic. This push/pull is both an incredible catalyst but also a potential powder-keg. Pisces & Pisces Pisces and other Pisces enjoy effortless communication amongst themselves and the deep contentment that comes from truly being understood and loved unconditionally. But there is a lot of room for disaster when two Pisces split in divergent directions. Inevitably, it is deeply hurtful for both. But when it works… It’s magic. Pisces & Aries Pisces and Aries are quite literally like fire and water. The pioneering and adventurous Aries spirit can be very exciting to the easy going Pisces. The calming safety of Pisces can be a perfect respite when Aries needs someone to understand why they are so determined and adventurous. On the other hand, Pisces are not nearly as driven as Aries which can cause problems for either. Pisces & Taurus Pisces and Taurus are compatible but the relationship can often be a case of the have and have nots. Taurus likes nice things, money equals security to Taurus and having both is paramount. Pisces also enjoy and appreciate finer things in life though Pisces are not nearly as naturally inclined to “acquire” as Taurus. Pisces & Gemini Pisces and Gemini are the spice of life. Both Pisces and Gemini love variety and a wealth of life experiences. Both are especially adaptable to new experiences and situations and both are excellent communicators. Pisces and Gemini are likely to have many different things going at one time. Pisces & Cancer Pisces and Cancer have a shared connection to love and the family. Cancer is a caretaker and needs emotional commitment and security in a relationship. Pisces love to shower their mates with love and attention so this fulfills that needs well. Pisces also tend to rely on their mates heavily which plays to the Cancer tendencies towards protection and safety. Pisces & Leo Pisces and Leo can irritate each other initially as Leo is the leader of the pack, and Pisces tend to be wary of hyper-competitive alpha types. 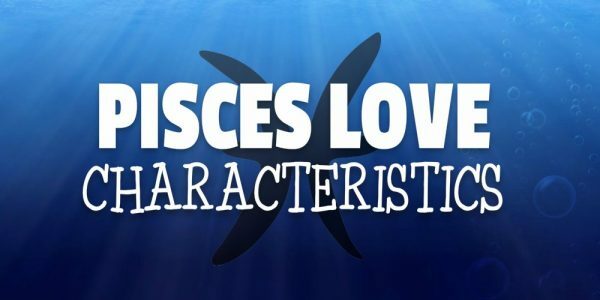 When Pisces can give Leo full undivided attention and Leo can learn to rely on Pisces incredible intuition and talent this can be a fruitful relationship full of all that life can offer. Pisces & Virgo Pisces and Virgo brings the technical and efficient Virgo ingenuity together with the creative, imaginative thinking that is so evident in Pisces. Virgo wants good health and things done right while Pisces are obliging and great at problem solving. Pisces & Libra Libras can be particularly compatible with Pisces in long-term relationships as the balanced Libra helps offset the spontaneous Pisces spirit. Libra is well mannered and proper with a great sense of style. Pisces appreciate the beauty and cultured personality of Libra. Pisces & Scorpio Pisces and Scorpio are most compatible when Pisces can be pragmatic and decisive. Scorpio is prone to strong likes and dislikes and is extremely loyal or equally hostile towards perceived enemies. The world is very black and white to Scorpio. Pisces find it very easy to read Scorpio because they often communicate nonverbally with looks and posture rather than words. Pisces & Sagittarius Pisces and Sagittarius can be a mind-blowing partnership as both have great capacity for self-awareness and continually reaching new levels of personal understanding. Sagittarius and Pisces are both enthusiastic and good sports making for lots of happy times and smiles. Pisces & Capricorn Pisces and Capricorn relationships often revolve around the pursuit of power or authority. Capricorn needs to be an authority figure and Pisces can only take so much of a taskmaster before lashing out with righteous indignation and if you’ve never seen gentle Pisces ticked off, look out!